I am one of the many few who tend to skip foundation because it isn't exactly easy to apply especially when you only have a couple of minutes to do your make up during day time. 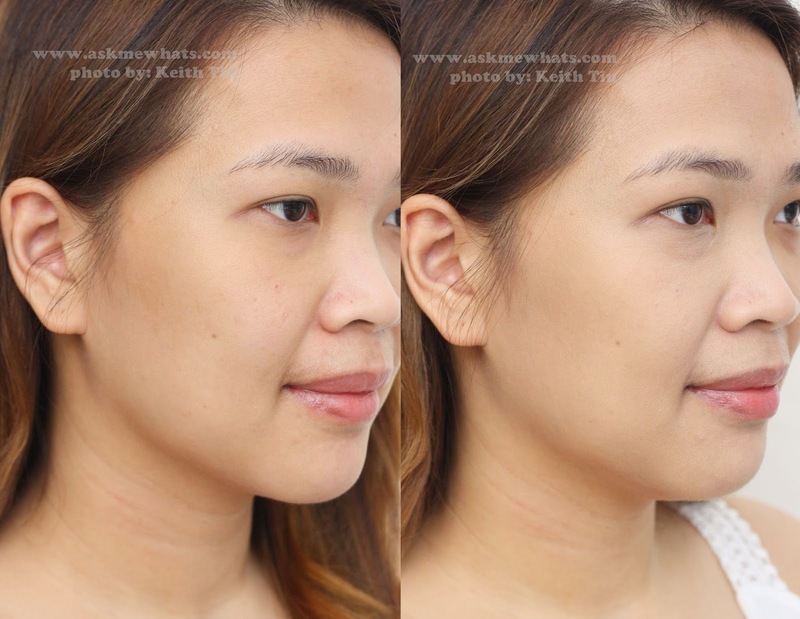 Stick foundations may be the solution to this problem but for people with dry skin (ahem, ME! ), I tend to shy away from this type of foundation because I am scared of the drying effect. 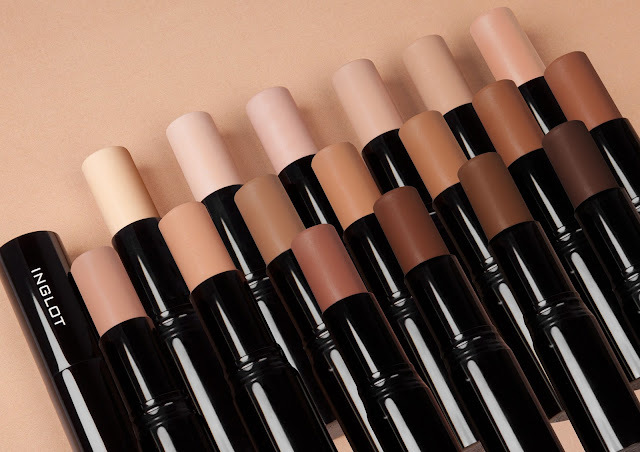 Enter Inglot Stick Foundation, the newest foundation stick from the brand that literally gives me the "no make up look" I want minus Dryness. May be used as makeup for stage and theater. Perfect for face contouring. Stick, so easy to use! Good coverage. From light to medium heavy. Can double up as a concealer. Comes in wide range of shades even professionals can use this! Creamy consistency (thus very easy to work with and blend) and dries off matte. If you picked the right shade, no white cast whatsoever. Has evening primrose which boosts hydration thus, this is one of the very few stick foundation that isn't drying even on dry skin! Can work on both face and body! Though it comes with wide array of shades to choose from, it is still difficult to pick the exact shade for you as it can still be a bit too light or too dark on you. Staying power. Can stay the whole day for normal and dry skin. May last approx. 4-5 hours for oily-skin users. A medium to medium heavy coverage stick foundation that works for all skin types! It has pretty much good staying power as long as it is set properly (especially for oily-skin users!). Photograph friendly and very natural effect. Try on testers because you can never know your shade without swatching. Apply straight from tube for heavier coverage. If you prefer lighter and more natural coverage, blend with a damp sponge. You may also use this as a concealer by applying straight from tube and dab. If you have dry skin, it is okay to skip setting powder. Oily skin may need oil-control primers and set with oil-control powder. Apply with downward strokes and do not go against the growth of your facial hair for a seamless finish. Store in cool-dry place to prevent stick foundation from melting. Life span is approximately 1 year upon opening. Put a small sticker with the date you first open the stick foundation so you'll know when to chuck it! Girls who are always in a hurry with their face makeup. This works for all skin types. Priced at Php1,695.00 (approx $38.50) available at Inglot Glorietta 5, SM Moa and SM Megamall. Downward stroke and I always like to start at the center of my face were coverage is most needed. This foundation stick can also work on the undereye area because it doesn't sit into fine lines and wrinkles. I love how natural it looks and how it sets into almost powder finish. Shade 105 may seem too dark on me if you based it on tube but this shade matched my neck perfectly. My skin looks glowing at the same time, it gives light to medium coverage. I may only need a bit more on the undereye area to completely cover my extreme dark circles. Overall, I am very happy with my new Inglot Stick Foundation! I can't wait to grab more shades because this is worthy to be part of my professional kit! How do you like the performance of Inglot Stick Foundation? I don't use stick foundation when I'm in hurry because it cakes too much on me. talaga? Try this if you get the chance, non-cakey siya!